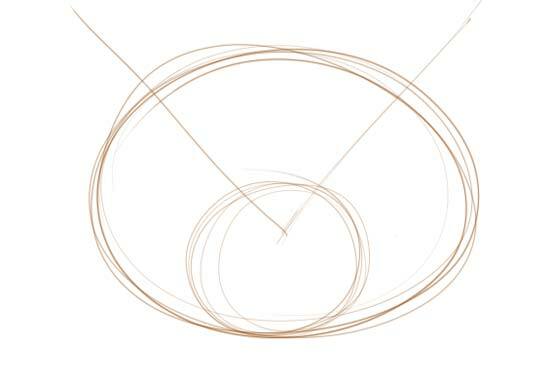 Once you learn to draw a small cat, its pretty easy to transfer that knowledge to a large cat drawing, like How to Draw a Tiger or How to Draw a Lion. 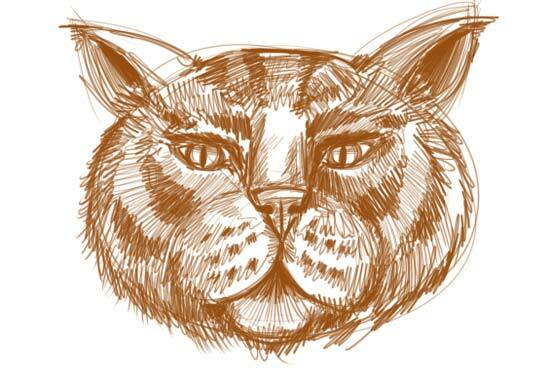 Cats are cats for the most part, big or small they have a lot in common in their facial structure and body structure. Did you know that cats the most popular pet in the world and are now found almost everywhere on Earth. Perhaps one day they will take over the planet! Some how I think my cat is too lazy to take over a planet. A fully tummy adn a warm spot to nap are more his style! 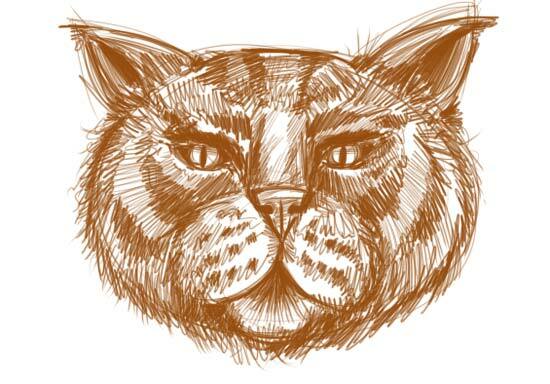 So enough rambling, lets get on with the lesson, on how to draw a cat's face. 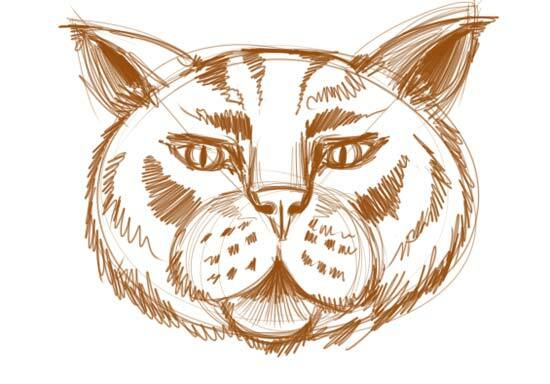 Here Kitty Kitty, lets learn how to create Drawing of a cat's face. 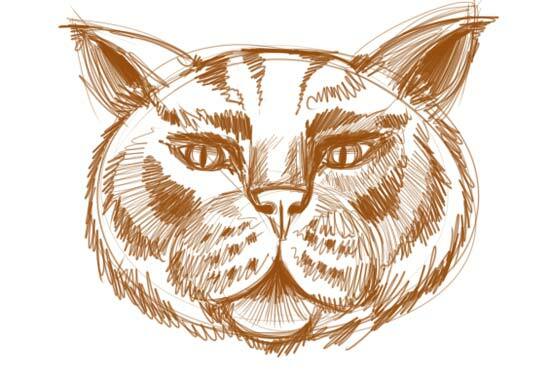 The challenge with drawing cats is that they generally won't come when they are called. So it's best to catch them when they are sleeping. 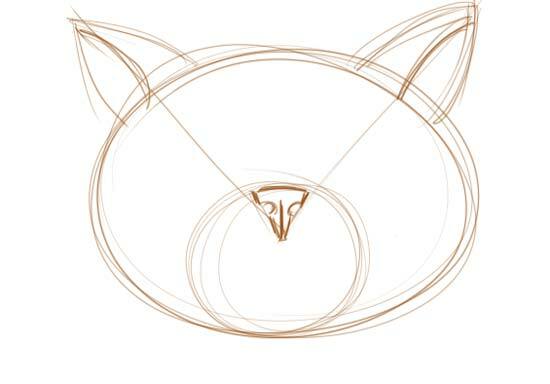 this is why in most of my early cat drawings ,my cat had her eyes closed. Besides, when she opened her eyes she wanted to play with my pencil which was no help at all when you are trying to draw. I was 12 years old and it was the first drawing I made where I actually felt like I might be a good artist one day. 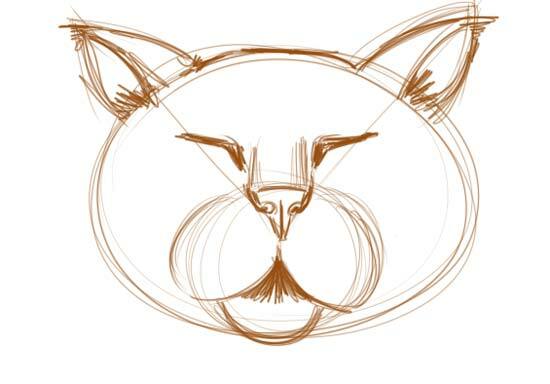 I have drawn many cat faces over the years and the the techniques I learned when I was 12 have served me well, so I am excite to to share them with you in the lesson below. Cat face paintings were a popular item when I was airbrushing t-shirts on Panama City Beach Florida as a summer job. 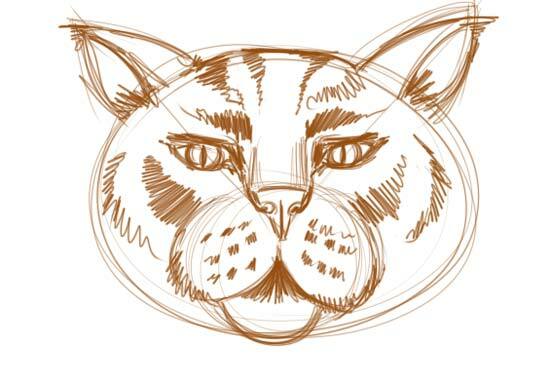 Airbrushing cat faces allowed for lots of energy in the fur with huge colorful eyes dominating the designs. These big cat faces were fun to draw and paint. Speacing of face painting. Having your face painted to look like a cat is very popular at carnivals and events. I have painted peoples faces to look like cats but never painted a cat face to look like a person. I would like to give it a try, but I don't think the cat would hold still long enough for me to get the job done! 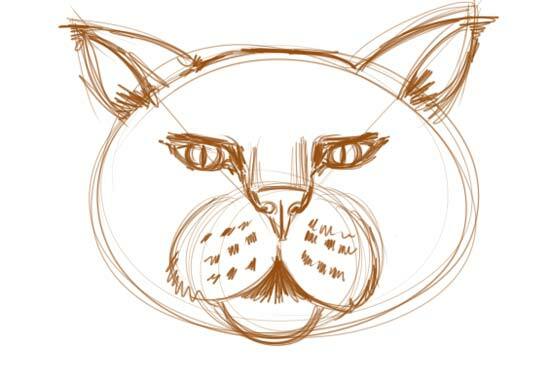 Now let's get started with "How to Draw a Cat Face." 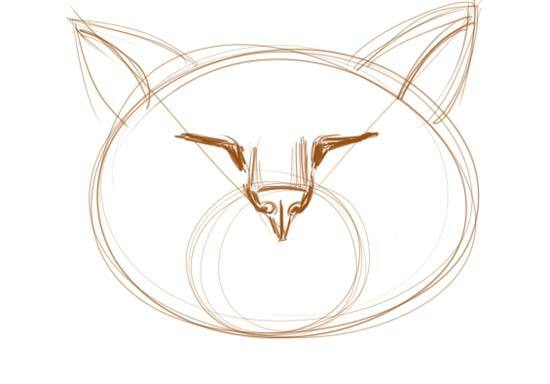 "How to Draw a Cat Face!"